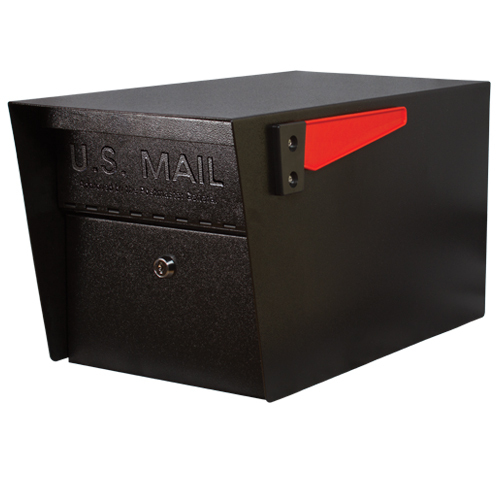 3100 Series Free Standing Rotary Mail Centers are ideal in locations where a secure and professional mailbox system is desired. They are constructed of 16 gauge steel and feature a vinyl finish available in white, blue, oak, slate and walnut. 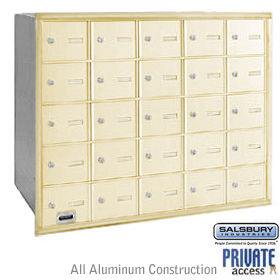 These units accommodate a combination of 5 aluminum rack ladder system mailboxes, parcel lockers and drop boxes or data distribution system boxes (order separately). The inner cabinet rotates 180 degrees so that the rear of the mailboxes are facing the front for mail distribution.